Ukrinform continues the project, which acquaints Ukrainians with the new faces of the Supreme Court of Ukraine, tells about those who for the first time will wear judge gowns, who came to the country's higher judicial body from scientific and educational institutions, from the bar and other spheres of social activity. Before becoming a new judge of the Supreme Court, Kostiantyn Pilkov worked in five different areas. 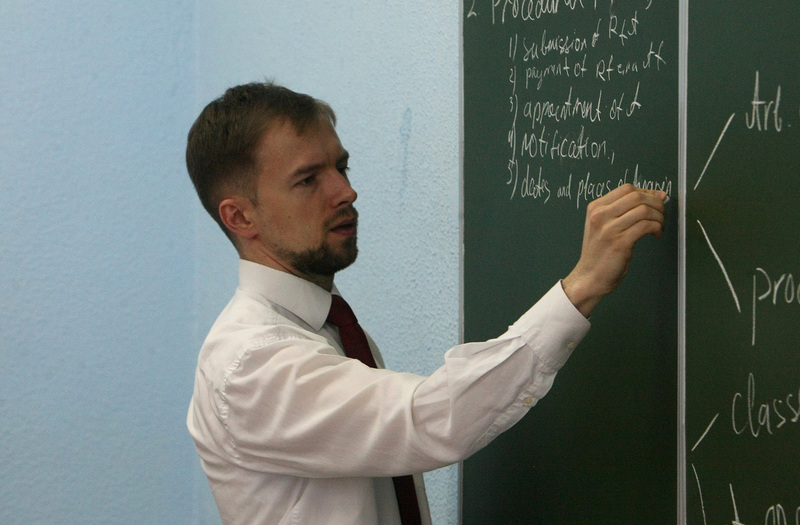 He served as a junior researcher at Ukraine's International Center for Space Law, a lawyer in well-known companies, had his own law firm, defended a candidate's thesis and taught at a higher educational institution. For the last nine years, he has also served as an arbitrator, in particular, at the International Commercial Arbitration Court at the Ukrainian Chamber of Commerce and Industry. 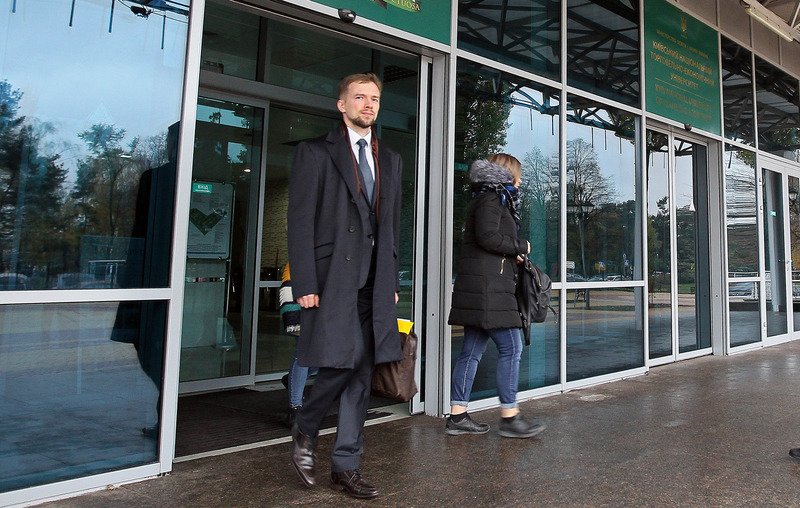 That is, while claiming the post of a judge of the Supreme Court, Kostiantyn Pilkov, 33, has already had experience and professional outlook that many of his elder colleagues might envy, especially because he will be the youngest judge of the Supreme Court. The victory in an open competition for such people like him is an obvious confirmation that the Ukrainian judicial system has taken a course towards profound changes. Ukrinform learned in a frank conversation with Kostiantyn Pilkov how new servants of the Supreme Court will support this course, and how they are going to support anti-corruption immunity. Perhaps, I have never experienced such depth of self-examination, to which I subjected myself since September last year. I replied to myself at the bottom of my heart that I have decent motives. As a judge of the Supreme Court, it is possible to work for a faster transformation of the judicial system and the whole legal system of Ukraine towards the values of the rule of law, which the West has been "practicing" for 200 years. 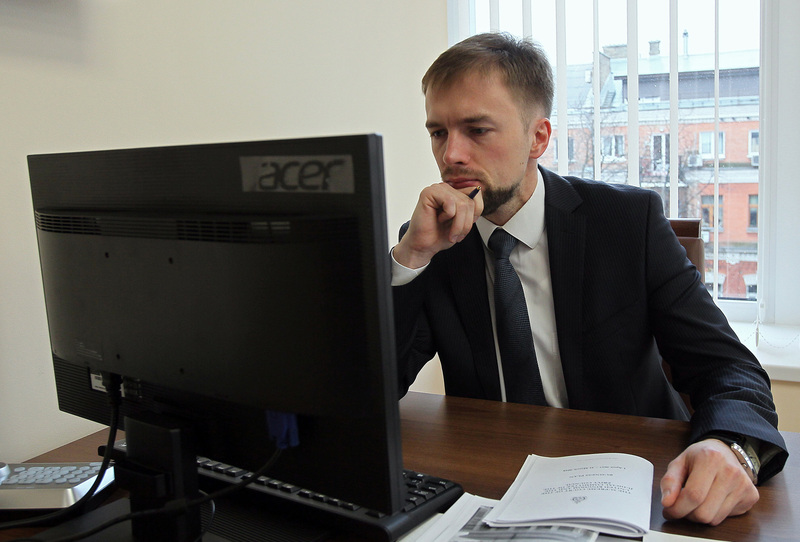 The work in international arbitration allowed me to go deeper into them a bit earlier, and now I have the opportunity to bring this experience into the Ukrainian legal system through the practice of the Supreme Court. The professional legal community should experience changes throughout the year when it sees what decisions are being made. Due to the fact that there is already a certain level of distrust, the credibility of the Supreme Court will be restored very slowly. In five years society will be able to appreciate and feel these changes when judges and their decisions will survive the first political scandals, when Ukrainians see that decisions are made, despite various forms of pressure, including political pressure. There is a desire for the Supreme Court to move to new standards of openness in informing the parties and the public about cases that are being tried in court. I will say the same with respect to communication with three key factors to which the new philosophy of the Supreme Court relates - society as a whole, the professional community and the media. The Supreme Court should set such standards not at the level of any instructions, but at the level of its own example. Judges recognize that they should be more open, but at the same time they are between the hammer and the anvil. On the one hand, they have to be open, but on the other hand, they have to keep their opinions to themselves to ensure the independence and impartiality of the court. I very much hope that communication between judges will occur not only in the format of a plenum that is somewhat formalized, but also in a different format, for example, via a conference, in order to ensure a full exchange of views on a new philosophy in the work of the Supreme Court. In general, such an interview should have been given by almost all judges - this is a real public oath. An oath to the people of Ukraine, of course, is also necessary, but in the media a candidate should have also expressed his credo, his principles, so that it would then be psychologically hard for him to get away from it. The interview during the competition was aggravated by the attempt to show yourself from the best side. Now there is no such thing, it's time to reveal your principles, which cannot be retreated, so that the entire judicial system, courts of the first instance and appellate courts could believe in change, and that the decisions to be issued by judges of the first instance and appellate courts, believing in the novelty of the approaches of the Supreme Court, will not be further canceled in the Supreme Court. Otherwise, it will become the biggest fiasco of judicial reform. The arbitration is characterized by the fact that arbitrators make a final decision without hoping that the mistakes can be corrected as, for example, in a court of appeal. Their reputation as arbitrators is at stake, and therefore the decisions of the International Commercial Arbitration Court are well substantiated, and the positions of the parties and the motives from which the arbitration court makes a decision are set out very clearly. Similarly, the decision taken by the Supreme Court must be final, either in the dispute or in the case. One of the defects of the modern judicial system is the frequent return of cases for new consideration. This is what needs to be changed in the first place. During the last year, I tried to resolve my housing, property, and other issues, so that when I take up this post, there was not even a thought about getting from society any preferences related to personal life, especially in such a complicated time for the state. It's even strange for me as a person from the private sector to ask about such things as office accommodation, cars, etc. As for me, this is a relic of the previous era. I wrote in the letter of motivation that the remuneration of a judge, as defined in the law, is quite sufficient for the needs of a judge of the Supreme Court. Perhaps, in the opinion of the elder colleagues, for such a post I do not have enough experience that comes only with years. But for myself, I compensated for it with a second education - a psychological and scientific approach. I hope very much that this knowledge will help me overcome those subconscious mechanisms that often prevent judges from taking the arguments of the parties until the last moment - the adoption of a court decision. After all, doubt for a judge is a critically important quality. If the judge finally decides from the first document put on his table about how he resolves the case, then it is a bias that the judge does not have the right to afford. I teach students international commercial arbitration and international trade law. Giving lectures and conducting workshops that show the effect of learning is always inspiring. Teaching is my hobby. This is also a new practice of public speaking, since one thing is to speak to an already interested professional environment, and another thing is to awake from scratch the interest of students who are largely incapable of perceiving something. This adds a drive. The main message that I send to students is to look at law not as a certain set of tools, but more broadly. I never ask my students to learn everything by heart. I am glad when students see which principle corresponds to a certain norm. They have to understand what was the goal of the legislator or the creator of the norm. For students, I am primarily a practitioner and one who tries to push them into an international plane. Now the whole practice has become so international that when a lawyer independently removes himself from this, he loses much in his development as a specialist, in borrowing new approaches. It also reduces the contribution to the development of Ukrainian law. 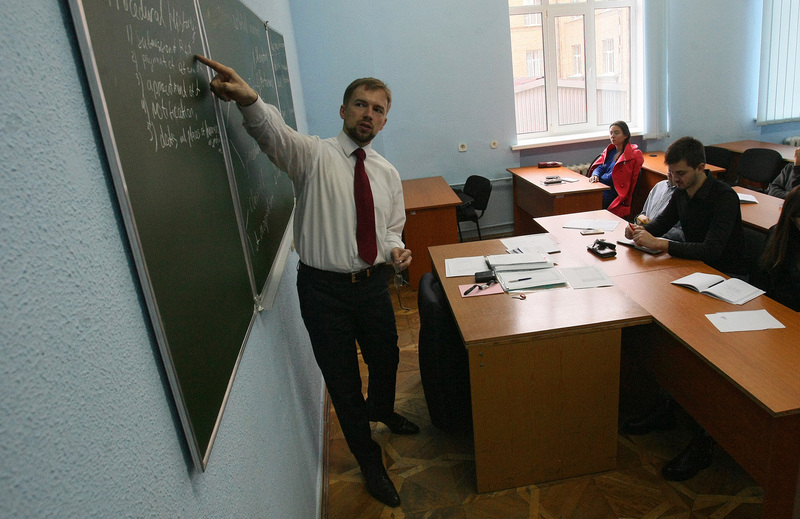 It is very nice that I was instructed to teach in English, so I immediately warned students that at the courses all communication, not just answers, should be in English, because the knowledge of a foreign language is important. St. Nicholas Church. I like such places, because I refer myself to the "Westerners." I believe that we need to take over the experience of Western democracies. They did not hang about for 200-300 years, and we have something to learn from them. This church reminds me of Western Europe - a cradle of what we are now trying to introduce in our country: all concepts of the rule of law were not invented and worked out on our lands. Sometimes, even physically, it would be desirable to be close to what reminds us of how the civilization, to which we strive, developed. In the student years, I was seriously involved in badminton. Then for some time I was fond of fitness and also practiced hand-to-hand fighting a bit. But now, due to lack of time, I do not practice anything - I can just run in a forest or train in the gym. Last week I played in the legal league of the experts' club "What? Where? When?" Prior to that I played in the general league. This allows me to balance the idea about myself - such games point to the fact that there are many people smarter than me, and it returns you to a critical assessment of yourself. I do not specially prepare for the game, for me it is more like a hobby that helps stir the brain. I read several times Bertrand Russell's "A History of Western Philosophy," because, firstly, I received pleasure from it, and secondly, I even tried to borrow a certain style when I wrote two of my own books. This work presents the thoughts that, in my opinion, were not enough to solve specific legal problems of present-day Ukraine. For example, characterizing the philosophy of Hegel, Bertrand Russell wrote that it is possible to justify a person whose own logic leads to conclusions and decisions that are negative. However, one cannot justify a person who rushes towards a crime. This added an understanding of what, for example, is an unlawful decision, whether judges should be liable for revoked decisions or decisions that are criticized. Thanks to this idea, I am in favor of criticizing the justification, motives and logic of the decision. My hobby is also scientific and psychological literature focused on the psychology of making judge decisions. Now I started reading such literature in order to ensure, above all, my independence in judgments. I do not watch popular TV series right now, because I have no time for it and I think that time will determine their artistic value. Now, I'm fond of films that truly convey human emotions, or how the circumstances influence human behavior. I last visited the cinema about a year and a half ago when I watched the movie "The Judge" - about how an elderly judge who controlled the situation all his life gradually lost control not only over the situation, but also over himself and his own body, and how he rested on this. And in my student years I would be more interested in some action, special effects. On the one hand, the gown of a judge can be regarded as some sort of atavism, but on the other hand, it is a certain symbol that should influence society psychologically. As for me, the judge gown should not be decorated somehow, which would indicate a privileged status. A gown for a judge is like a tool, it depersonalizes a judge. After all, the decision that is made is not a decision of any particular person. It is a decision of the judiciary as a whole, which now speaks specifically with the mouth of this person in the gown. Head of the Department of International Private, Commercial and Civil Law at Kyiv National University of Trade and Economics Olha Bakalinska spoke about the future judge of the Supreme Court: "Kostiantyn Pilkov is a deeply educated and very intelligent person who has his clear code of honor, his own awareness of the circumstances, and is able to listen. I think that it is precisely these people that we lack now. His talent in jurisprudence was evident from student times. He was the best student in the group. But his mind and personality are best disclosed in direct communication. The fact that he is an extraordinary person was noticeable even when he was 17 years old. In the second year of study, we have already worked with him in the center of space law on the program to launch our aircraft and satellites in Brazil." 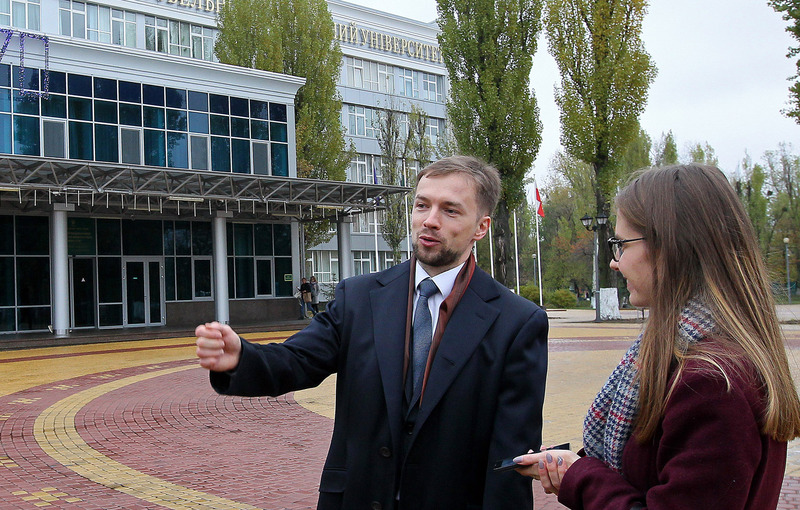 Kostiantyn Pilkov is a Candidate of Legal Sciences, Associate Professor of the Department of International Private, Commercial and Civil Law at Kyiv National University of Trade and Economics, a lawyer. He served as Managing Partner at the Cai & Lenard law firm in 2010-2017. He is an arbitrator of the International Commercial Arbitration Court at the Ukrainian Chamber of Commerce and Industry, the German Institute of Arbitration (DIS), a member of the Presidium of the Arbitration Chamber of Ukraine. He was born in Kyiv on December 8, 1983. Labor activity: July 2003 – October 2003 – specialist, State Company "Ukrekokomresursy" of the Cabinet of Ministers of Ukraine, Kyiv. October 2003 – June 2004 - Head of the Department of Claim and Contract Work of the State Enterprise of the Ministry of Industrial Policy of Ukraine, Kyiv region. June 2004 – February 2006 - senior associate at the European Alliance law firm, Kyiv. February 2006 – July 2010 – a lawyer, senior associate, associate partner of the Lavrynovych & Partners law firm, Kyiv. 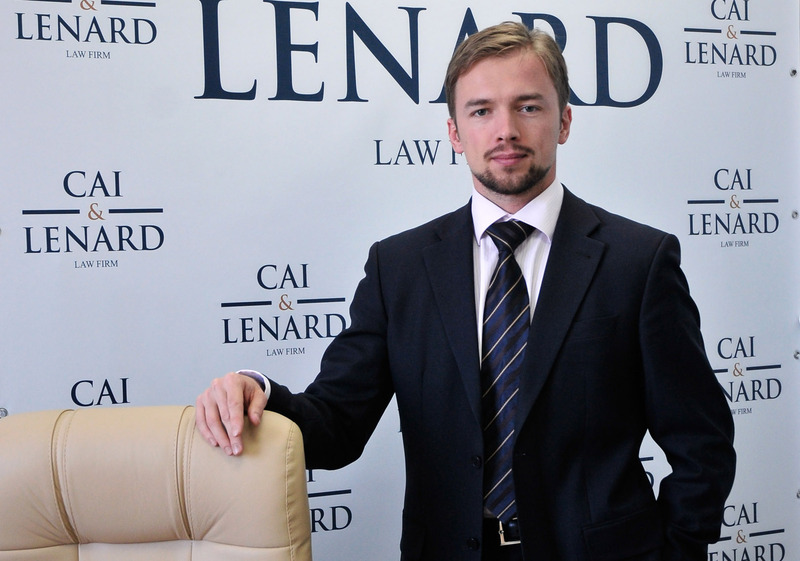 August 2010 – October 2017 – managing partner in the field of international trade and arbitration, customs and tax law at the Cai & Lenard law firm, Kyiv. Scientific activity: July 2004 – December 2009 - Junior Researcher at the Center for Space Law of the Institute of State and Law of the National Academy of Sciences of Ukraine, Kyiv. July 2011 - lecturer of the course of international arbitration at the Summer School of International Law of Mariupol State University. From September 2016 until present - Associate Professor at the Department of International Private, Commercial and Civil Law of Kyiv National University of Trade and Economics, Kyiv.